Hi there! Did you miss me? I’m still here, I needed to catch up on a few things and I wanted to finish my zig-zag to show you! I like this one a lot – super girlie and really fun! I did learn a few things making this one, when working with half-square triangles (hst’s) I prefer to press open. Also, explaining the process via words and pictures is a lot of fun. (I made a pdf with some handy information on it if you are thinking about a zig-zag – you can download it here.) Working with the smaller size was a nice change from my last finish too! In other news — Today is Joe’s birthday! We are having a little celebration here at the house with brat’s and a curry potato salad (a new one for me!). Joe took the day off of work, went to visit a friend recovering in the hospital, and will eventually pick up his cake at Coldstone – saving me a trip :) Good thing too, as there are floors to clean, dishes and dusting. I found this in the garden when I went out to photograph my quilt top — Baby ear of corn! We will see how big it gets before the cold is back – doesn’t take too long around here. Also, I took my patterns over to my LQS this morning, met two more sweet ladies and brought home fabric for a sample. Over Labor Day Midway has Swiss Days, lots of booths and fun – I have a deadline :) Oh, and I’ve had a couple of sales in the shop!!! I keep thinking I would like to join the local quilt guild – but I haven’t put it on the calendar and end up missing the meeting each month! I feel a little shy going somewhere like that by myself – well maybe a lot shy. 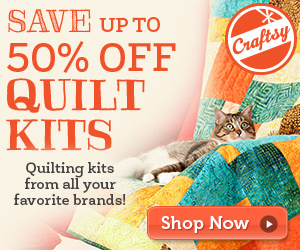 Are you in a quilt guild? Did you first go alone or with a friend? I need to get over it and go! I need to get cracking before Owen wakes up! I hope that you are having a great day. Happy Birthday to Joe! The zig zag quilt looks great! Congrats on your sales. That fabulous! 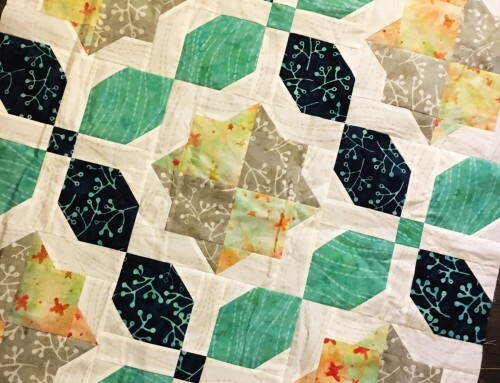 The zig zag quilt top is so pretty and happy! You seem to be having a great time at the moment too! Oh how gorgeous!!!!! I want to try and do this one as well. I love this one! Super cute! Cute quilt! I need to remember that pattern the next time someone has a baby. I went to my first guild meeting when I first moved here; before all the boxes were unpacked, for sure. I brought something to show so it would be easier to stand up and introduce myself. I don't belong any more, but I met a great bunch of women who have become really good friends. I absolutely LOVE your zig zag quilt. I've wanted to make one for some time now…maybe in the not too distant future…we'll see. Happy birthday to Joe. How nice of him to take the day off and visit a friend, not to mention picking up his cake and saving you a trip. Amy, Very cute quilt! Well done! Go check out your local quilt guild. You can meet some like minded (quilty) ladies, see amazing work at show and tell, and learn some interesting things from amazing speakers. Give it a try. Enjoy your party! Love your zigzag top, such pretty colours though the thought of too many triangles scares me!!! welcome back… your zig zag looks great… i'm about to start a mini one.. in oh about 5 minutes… i'll be sure to show you!! Love zigzag quilts!! Happy birthday to Joe :) And isn't it fun spying what's growing in the garden… it's always a nice little surprise. That Zig-Zag quilt is soooo girlie. I need to make a "pink" for my little grandaughter, Mommie said PINK. I was thinking zig-zag when I was snooping earlier and saw yours on flickr. I am going to go and download that file now. Love the colours in the zig zag…reminds me of cotton candy and bubble gum! I've been in the same boat with the quilt guild. I have marked my calendar, however for the first September one, and am committed to going. I think I'll die a million deaths of shyness, but I'm going! The quilt is REALLY pretty!! Did you get that Lily Pond fabric?? For Real?? That is going to be super cute in a quilt! Happy Birthday to your guy. I went to a quilt guild meeting all alone. Ummmmmm, it wasn't for me. They seemed very clickish. I was disappointed. Some of them are part of the QUILT POLICE I think too. I don't think I will go back. I kept forgetting to go – for almost a year! Your meeting may be completely different. Go at least once and find out for yourself. 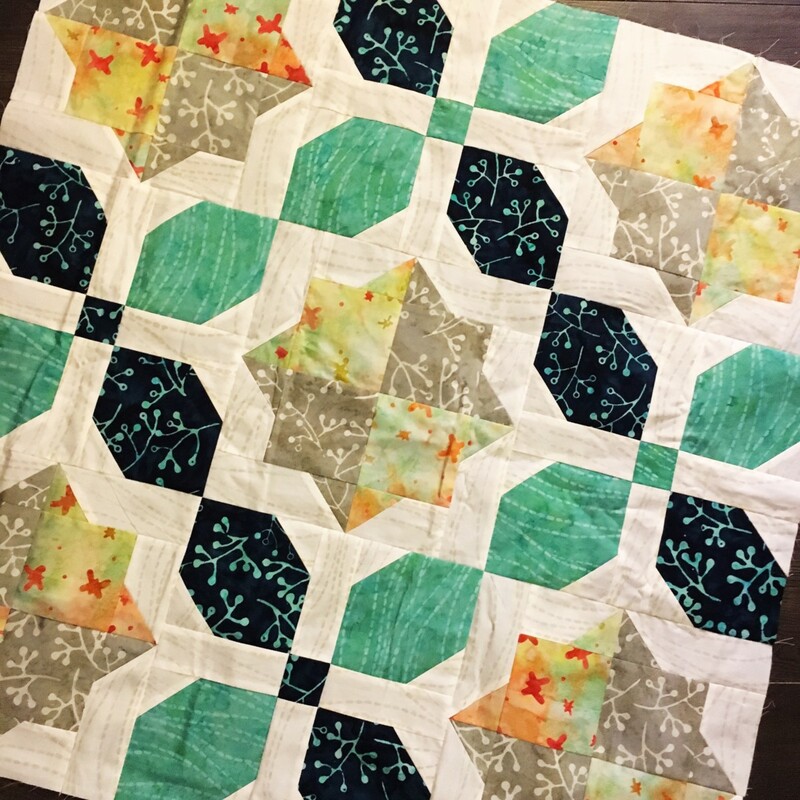 Your Zig-Zag quilt is beautiful Amy! Have fun with the family birthday – sounds great! The sweet corn is looking good – we had some tonight from my Mom & Dad's (age 89 & 90) tonight for dinner! 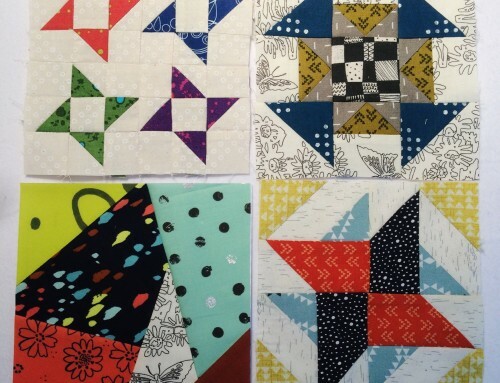 And now about the quilt guild – if I waited to go with a friend, I would never have gone. I've belonged to two for two years now and it's a blast. Quilting people are so welcoming, you will fit right in – GO! I went to my first quilt guild meeting by myself also. SCARY!! Then I walked in and saw two girls that I knew!! YIPPEE!! I ended up quitting that guild though as no one was the least bit friendly and it was at night which I didn't like. Then a friend invited me to go with her to a local quilt guild. She was the program!and I went as her "Tall Quilt Holder". She's 5'2" and I am 5'9" LOL… Everyone in this guild made it a point to come up to me and talk to me and invite me back. 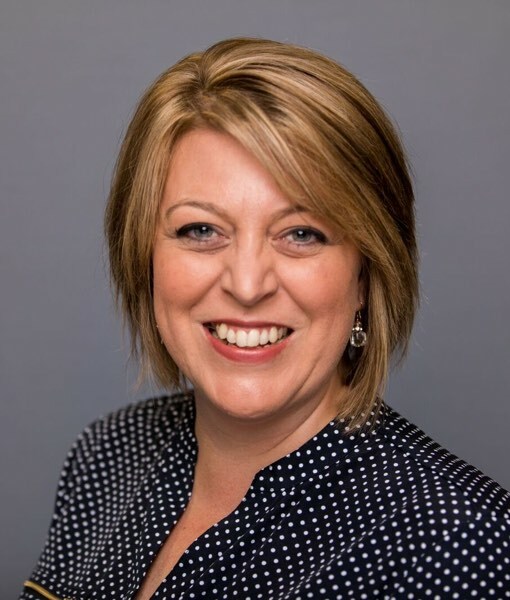 I have been a member now for 2 years and am vice-president…. GO…take a deep breath and GO!! The quilt is awesome, and HECK YES on the open seams. I am hand stitching a quilt right now and I'll be pressing them flat, but only because I'm hand stitching. 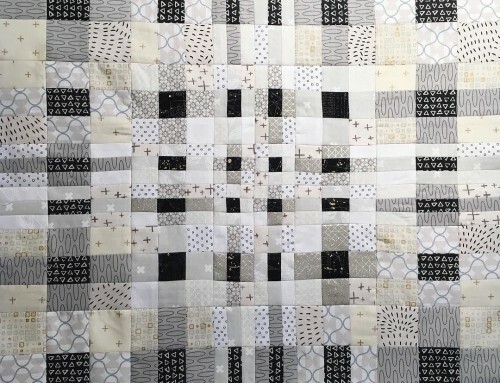 Your zigzag quilt is SO lovely! The colors look great together. I'm quite envious because I'm still working on week 2. I have always wanted to check out our local quilt guild too, but like you, keep forgetting when the meetings are, and I'm shy too. I hear it's a really big group, which seems more intimidating! I love the zig zag quilt!! I think I'm going to try one :) Thanks for the PDF! Very pretty Amy! I love the pretty bright colors! I'm making a Rickrack Road from AP&Q Sampler mag, sorta like a Zig Zag. Yours looks so cheery and fun! I haven't joined a quilt guild in my area because their meetings are on TUES MORNINGS at 9 am and, duh, I am a working woman! Wish that could be changed, LOL! Very nice quilt! yes super girly and super cute!! But seriously, they love having new members always go out of their way to make you feel welcome. I belonged to one for a while, but then just couldn't find the time. Would like to get back in one though. Let us know how you feel after you've been. Love your zigzag quilt!! I bought a pattern for one that is very similar, but have not made it yet. Your colors are so pretty. Love & blessings from NC! that zig zag is wonderful…i am with you. 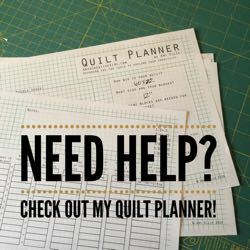 i would love to find a guild but i am too hesitant to go alone, and i don't know anyone else that quilts where i live…you can do it!! Love your zig zag quilt top! Don't think, just do it. I went to my first guild meeting 6 months ago and have never once regretted it. I did meet a friend right away, and most all have been friendly. But just the speakers they bring in and the nationally known teachers that you get exposed to and can take classes from for a very reasonable price is worth it! Ive learned a lot in just 6 months at the guild. 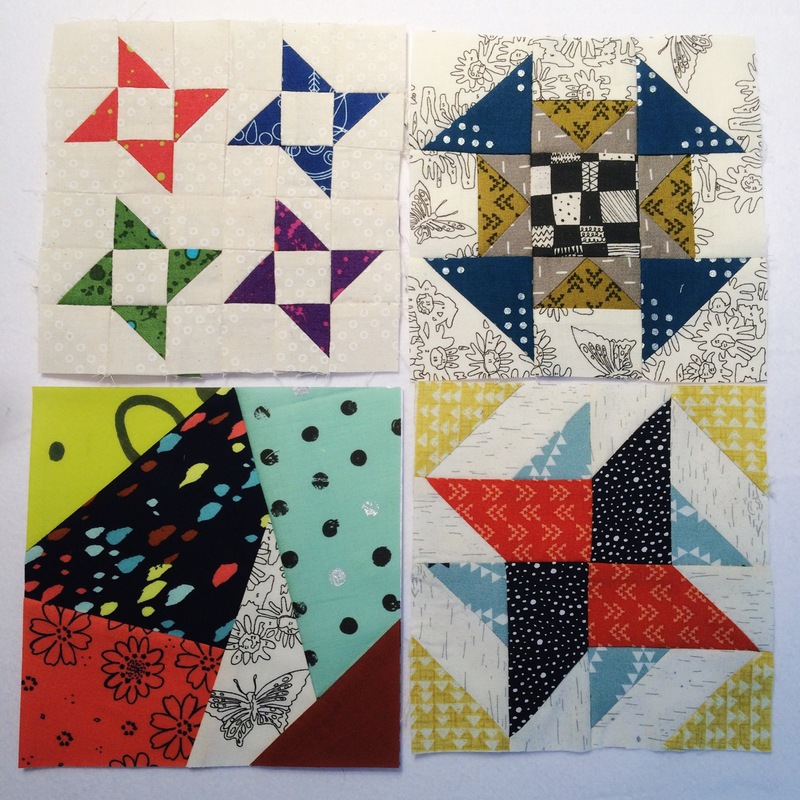 I would encourage it…on a side note, I also just recently purchased the Modern Quilt Workshop…what do you think? 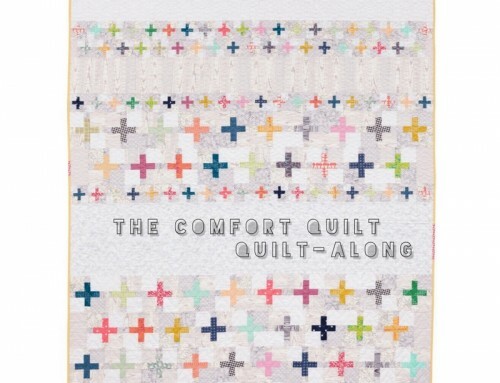 Funny, I recognize some of the quilts Ive seen in blogland, but so far, I think I will really benefit from this book. I was in a guild, but blogging fulfills that need for me. I love your Zig Zag quilt! I went to our guild meeting alone and that was 3 yrs. ago. I've meet some very nice people and the programs are just awesome!! I love visiting your blog. The Zig-Zag quilt is beautiful! I have added it to my list of things I want to make – that list is getting long. I'm not in a guild. I'm shy and would not want to go by myself either, but I think you should take the plunge and just do it. I've had to start forcing myself to jump in and do things, even when I'm uncomfortable doing so…makes us stronger to step out of our comfort zone. 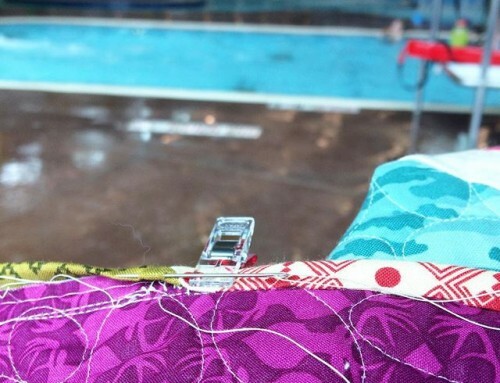 You have such incredible quilting and design skills, you'd be an asset to any guild. I hope you get your corn grown before cold weather steps in. 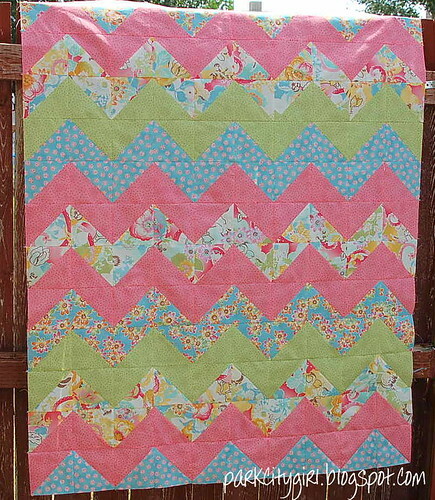 I love your zig zag quilt- so pretty and cheery . You did a great job. Happy Birthday to Joe- I am sure you had a splendid time together with you and yours. That is the best part of birthdays. As for guilds, I have belonged to one on and off for the past few years. It is a wonderful way to make connections with local quilters- some are easier groups than others to get to know new people. The guild here is a large guild and I have found that part challenging. I work full time so it is hard to get out to some things – I am not particularly out going in new situations. I think there would be many factors that determine whether the guild is the place for you. I also have another group of women with whom I quilt with so there is less of a need to belong to the guild. Perhaps in the fall, I will try and join again. They have good speakers and show and tell ( people bring their current projects to share at the end of the meeting)so there are many pluses to belonging. At the guild here you can pay for individual meetings and go as a guest – you don't have to pay the yearly membership fee so you can check it out and see if it right for you- perhaps your local guild has the same thing. I am sure you will figure out if going to the guild is the right thing for you. The zig zag quilt is wonderful! I have this quilt on my "to make" list. I have debated the same thing with a local quilt guild; I am a little shy about heading to meetings like this without knowing anyone. I think you should do it and then share your experience with all of us! What an absolutely gorgeous quilt. I love it. Happy birthday to Joe! I love your zig zag quilt. I love Swiss Days, we went there for the first time last year, and we will be going again this year! Congratulations on your pattern by the way, that's great! I'm lov'in the zig-zag quilt! It looks beautiful and looks even more fun to sew. I didn't have time to join the sew-along on this one. I'm hoping to free up some time and get going on it soon. I hear there may be another sew along using the wonky log cabin. Now that I definitely want to do! Thanks for sharing and giving such wonderful directions. I've printed them all out so I can start when time free's up! PS …Our corn is just about ready for pick'n! I LOVE your zig zag quilt. I joined a quilt guild and I went by myself. I first contacted the person in charge of the welcome commitee and asked questions. I even brought my first quilt with me. I was so intimidated because I still consider myself to be a newbie. But my group they are so warm and inviting. I've learned alot from them. What I enjoy most is the enthusiasm and comraderie from the group. Not to mention the inspiration and creativity. I am now going on year two as a guild member. I hope you make it to a meeting one day. very cute and fun Amy! I have been gone and missed all your fun summer activities!! This is so cute. And look at the corn. I can hardly wait until the local corn is ready. Love it!! 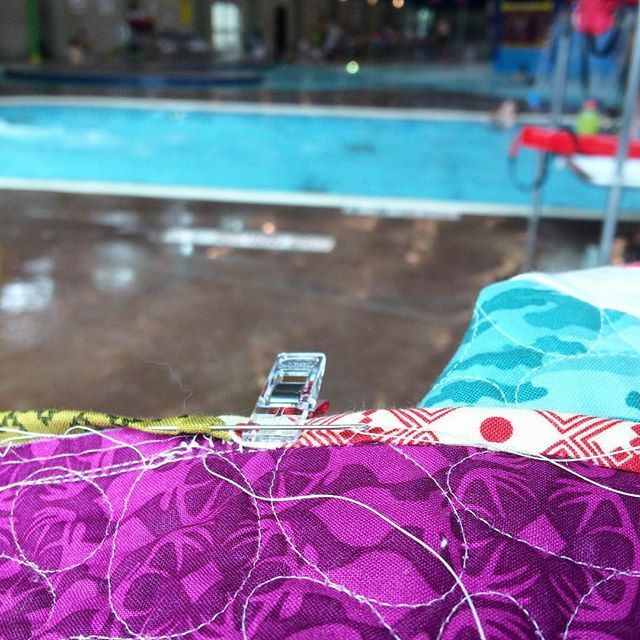 Love your zig zag quilt Amy! Pretty colors! I joined the guild by myself, but eventually convinced a friend to join. 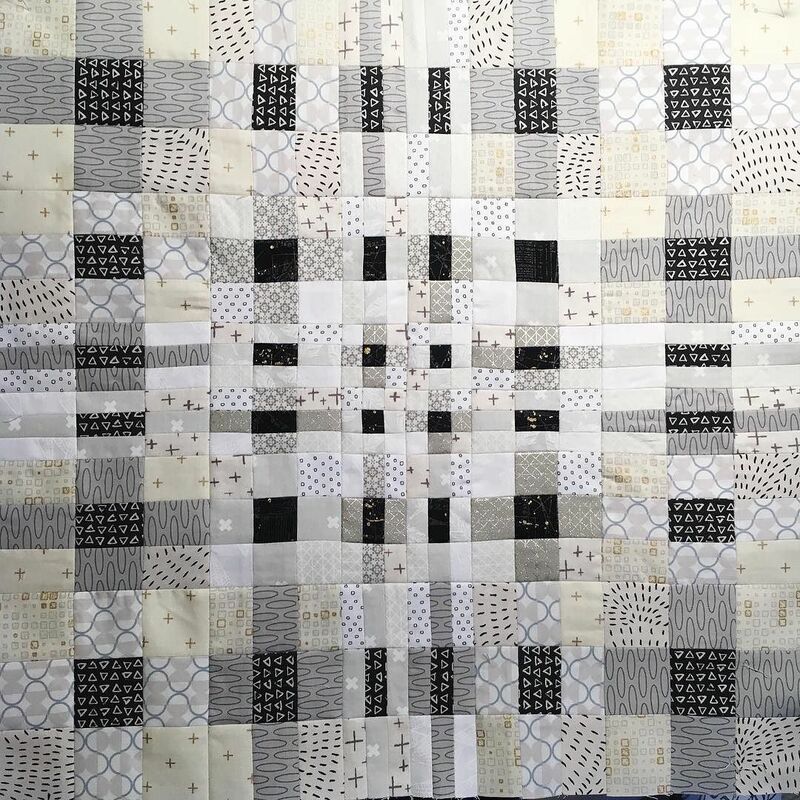 I tend to be a bit shy about getting to know people in big groups, but have appreciated seeing what people are doing, starting to get to know people, doing the quilt show, etc. Go for it. It could be lots of fun. The quilt looks lovely. The colors are gorgeous. love the colors in this! as for guild…i went with a blog friend…couldn't continue because they met when i was at work…i'm hoping to find another in our new place. I love the finished zig zag. I can't wait to post my pictures either. You have done a fabulous job at hosting. Love the quilt-hope his b-day was perfect! I can't even handle how much I love, just love the color combinations! You are so talented! Thanks for the details to! I love you zigzag quilt. The colors are wonderful, really fond of the green. I'm going to start a new quilt this week & may give the hst a go. I also belong to a guild which is a wonderful way to make lasting friendships, you will know if its a right fit for you. Also proves to be a great opportunity for community projects. 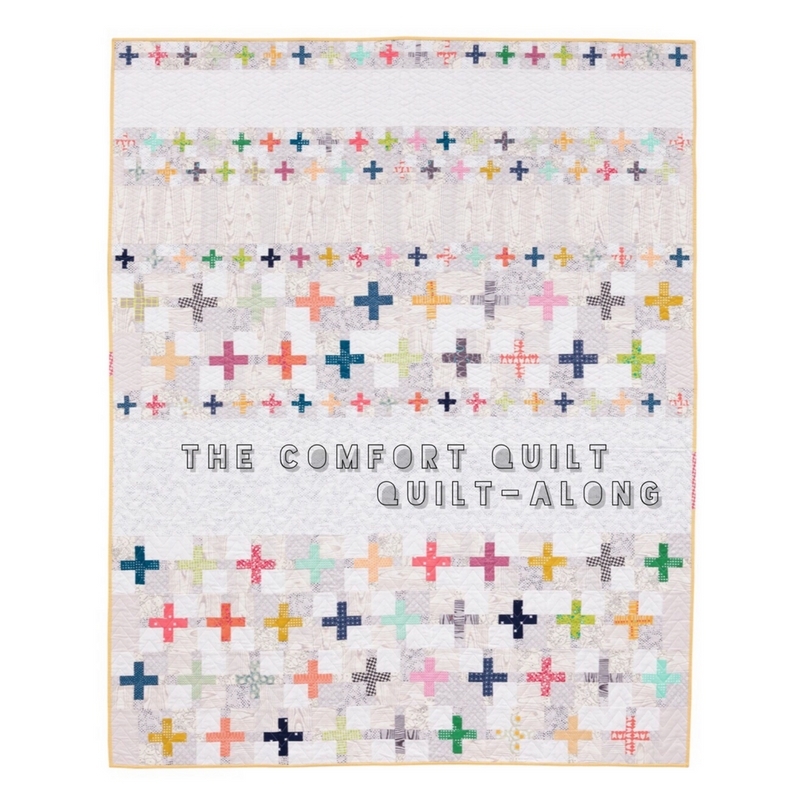 Your new zig-zag quilt is so lovely. Between that and your fabulous tip sheet (thank you so much! ), I'm feeling seriously inspired to try it!